I received an offer for a free Best-of Box from KLUTCHclub (with $8 shipping). They claimed that the box would be filled with at least $75 worth of health and wellness products. Since I'm a sucker for "mystery" boxes, I ordered one. The shipping was speeding and I received my box within a week of ordering. The contents, minus a bag of SkinnyPop and a SoyJoy bar. The contents of a KLUTCHclub box. Selection of products: Vast. Some are new to me, others are not. There were a few products that I was really looking forward to trying. My seasonal allergies are pretty mild in comparison with my family members, however this year has been a doozy on my system. I had a sinus infection from allergies that spread to my throat and ears, so this was a product I was happy to try! 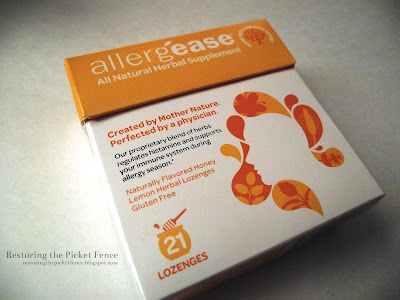 allergease review: The taste is good. Similar to Halls Vitamin C drops. There's a bit of menthol, which is actually refreshing. I like them. When we dine on sushi, I love adding fresh ginger to my maki, so I was looking forward to this candy. 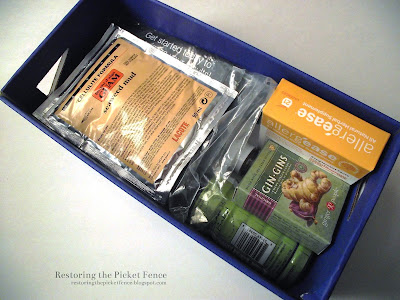 The box mentions that it makes a good travel candy, which makes sense since ginger is known to calm upset stomachs. 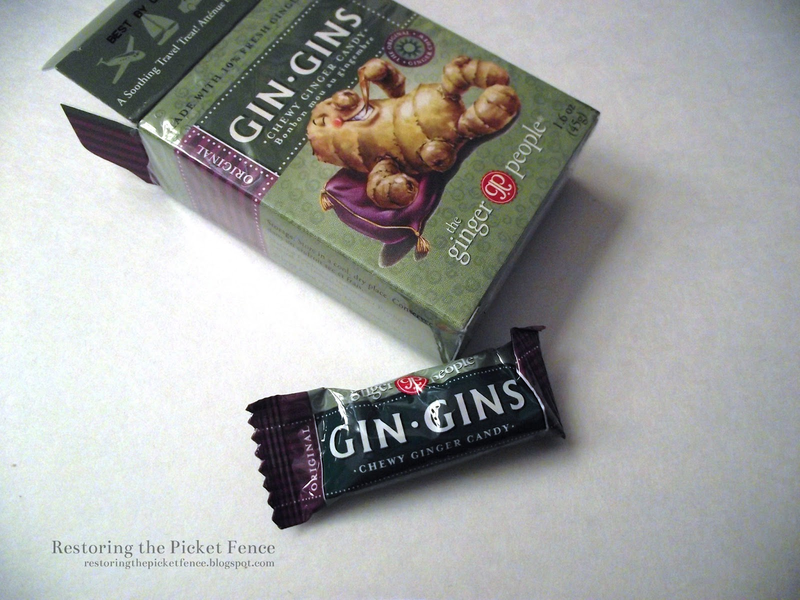 Gin Gins Chewy Ginger Candy review: I liked the texture (takes awhile to chew) and the flavor was good, but it was far too spicy for my tongue. If there were a mild version, I would love to try that! Baby Z wears cloth diapers, which require a particular selection of laundry soaps. Tide works just fine for us, but it's not "natural". We've tried soap nuts in the past, and I wasn't too impressed. These seem like they'd be awesome on cloth -- if it works. 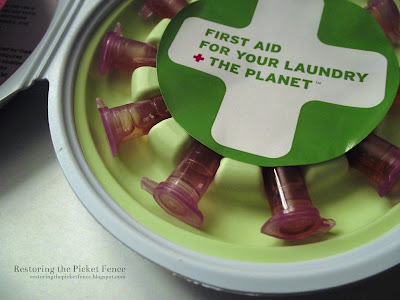 berryplus laundry soap review: It didn't get out a nasty poop stain in one of Baby Z's diapers. But, neither did Tide. You know what did? Fresh lemon juice diluted with water and a couple hours of sunshine. 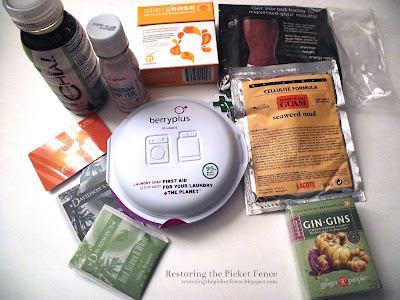 Nothing against berryplus, I'll finish using up the packet and keep this in mind if anyone in the family develops a skin allergy (berryplus states that it's great for sensitive skin). I will say, that berryplus did better than soap nuts that we've tried in the past. Drink Chia! in honeysuckle pear review: Well, I wanted to like this, but I didn't. As soon as I sipped some, I could taste the Stevia. Artificial sweeteners and these new natural, not-sugar sweeteners have such a strong taste to me, that they ruin any other flavors. It's like getting a black jelly bean in a handful of delicious pink ones. Thumbs down for me, but J liked it just fine. SkinnyPop popcorn review: J and I both liked this. It was lightly salted (the perfect amount for me) and was perfect for some pre-dinner munchies! SoyJoy bar in cranberry review: These are not new to me, so I knew that I loved it and immediately ate it when the box arrived. Oops. Davidson's teas: Very good! I especially liked the red tea with some American Honey whiskey for a yummy hot toddy. Shakeology: This isn't a new product for me, but I do love them. Normally, Shakeology is above my price range, so I was happy to receive some in my KLUTCHclub box. I don't plan on using the Lumosity.com gift card and the mud probably won't get used for a few months (since it involves wrapping yourself up in cling wrap ... that might be better in cooler weather). The Dream Water hasn't been used yet since I'm way too tired to even think about drinking it before bed. 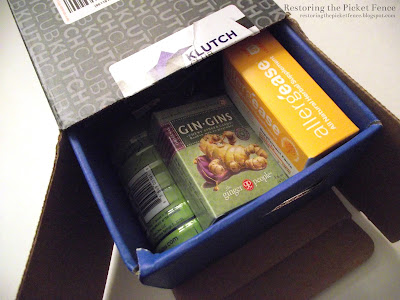 If KLUTCHclub was to offer another Best-of Box, I would happily purchase it again, as long as all of the items were different from this one. This review is not sponsored by KLUTCHclub in any way.